by Robert Lemay. 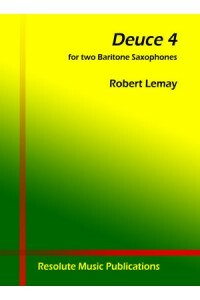 For 2 baritone saxophones. 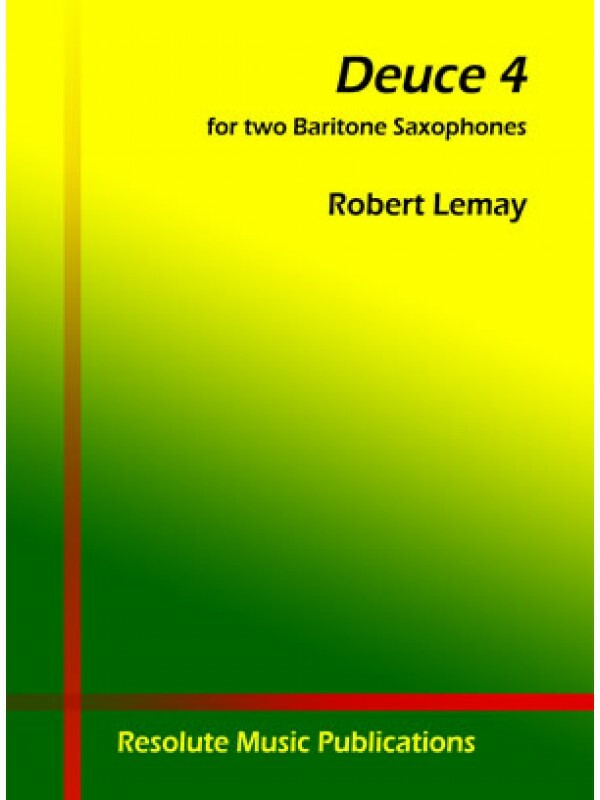 Dedicated to Henrique Portovedo and Jeffrey E. Vickers, Deuce 4 is an incredible, fantastic new work for 2 baritone saxes! Composer Robert Lemay pulls out all of the stops for this high-quality work. Deuce 4 is a tour-de-force, requiring incredible endurance by both musicians. The piece requires firm and very precise tuning, including altissimo and quarter-tones for both instruments. Other advanced techniques include bisbisliando, multiphonics and slap-tonguing. Approximate duration is 11 minutes.